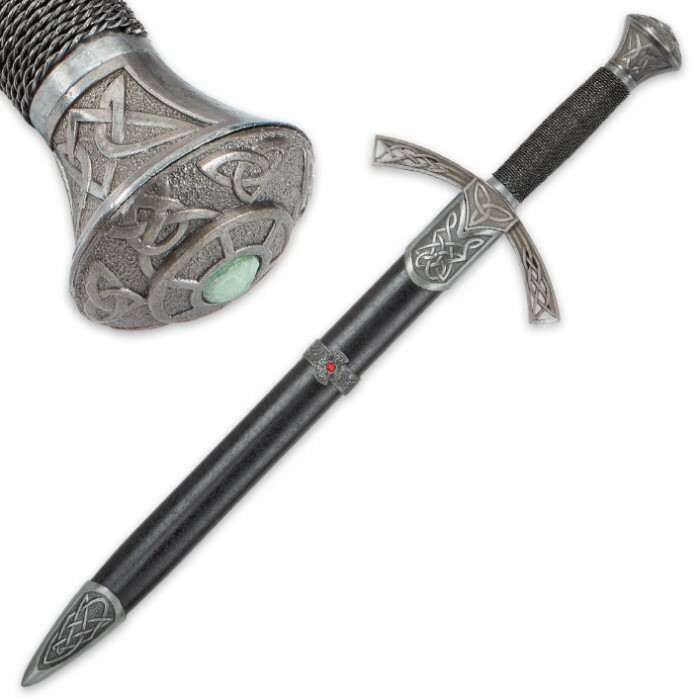 The perfect display piece for proud men and women of Celtic heritage, the Emerald Triad Short Sword is sumptuously appointed with wire-wrapped handle, green jewel accents and a hypnotic whirlwind of Celtic knots, including the legendary mystical "triad." Polished to a brilliant mirror finish, the Emerald Triad's 13 1/2" false-edged stainless steel dagger blade glints and glimmers radiantly, beautifully offset by the rustic matte finish of the metal alloy guard and pommel. 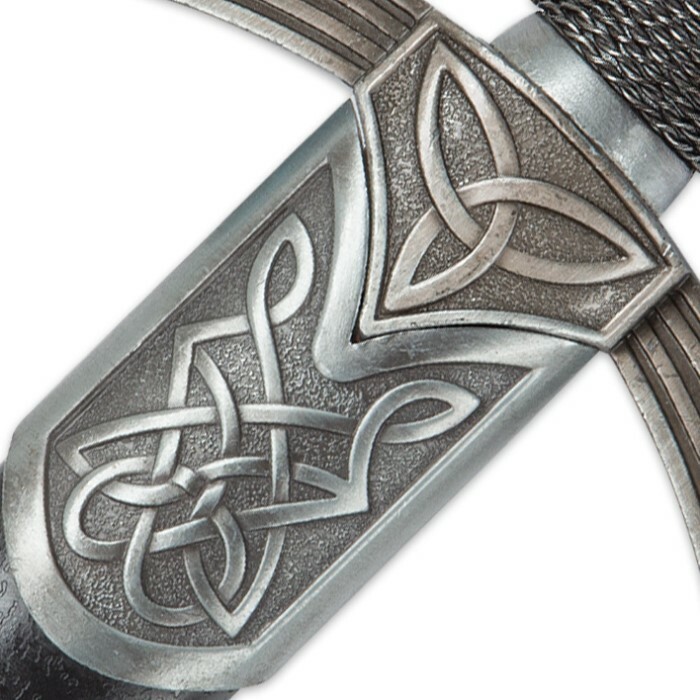 The included sheath is equally well-adorned, with additional Celtic knots rendered in impeccable relief at the metal base and collar. 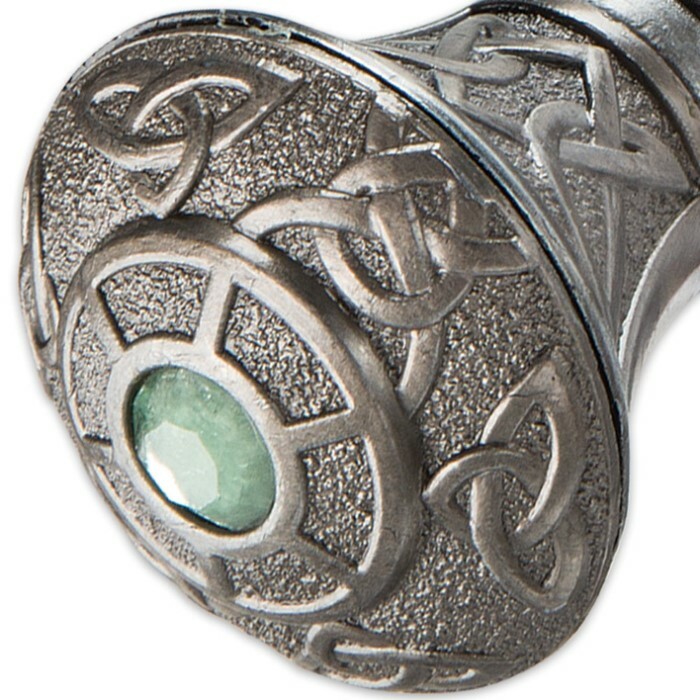 A lone green crystal at the apex of the pommel echoes the like-colored jewel that twinkles from the middle of the sheath's Celtic cross waist. Though ideal for display, the Emerald Triad is no toy. It boasts an extraordinary, weighty hand-feel - indicative of solid, quality construction. 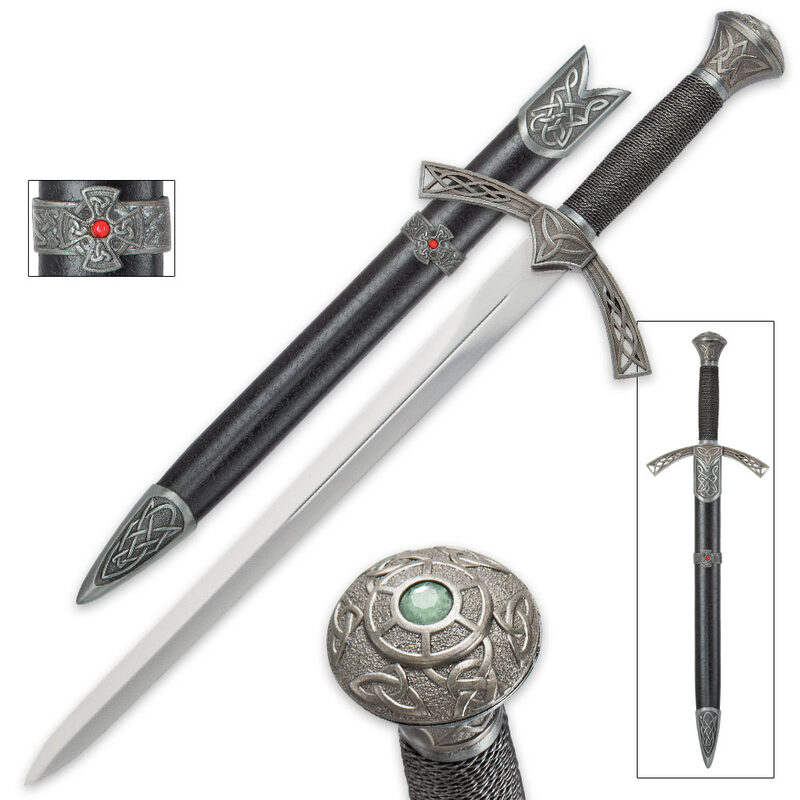 Regardless of how you show it off - on its own or alongside other prized swords and daggers in a fine cutlery collection - the Emerald Triad is sure to be the shining star in any display. 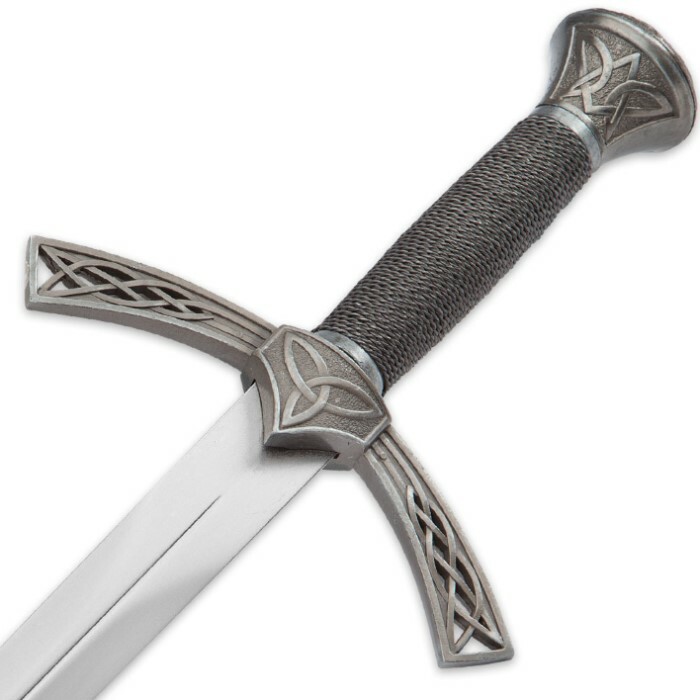 Also makes a great gift or prop for cosplay, theater or screenplays!